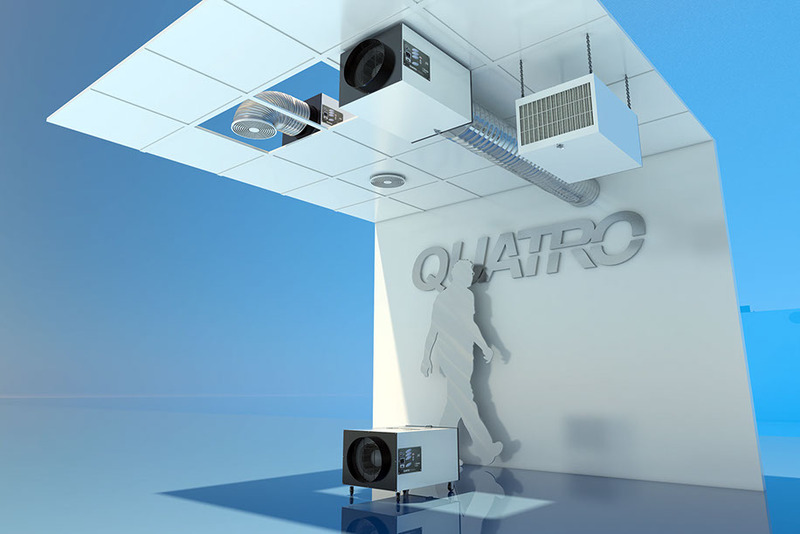 Looking for Air purifiers, air cleaners, air filtration systems that can be ceiling suspended or wall mounted, ones that are just perfect for small rooms, small spaces, and also ideal for locations where floor space is in limited supply, then look no further. 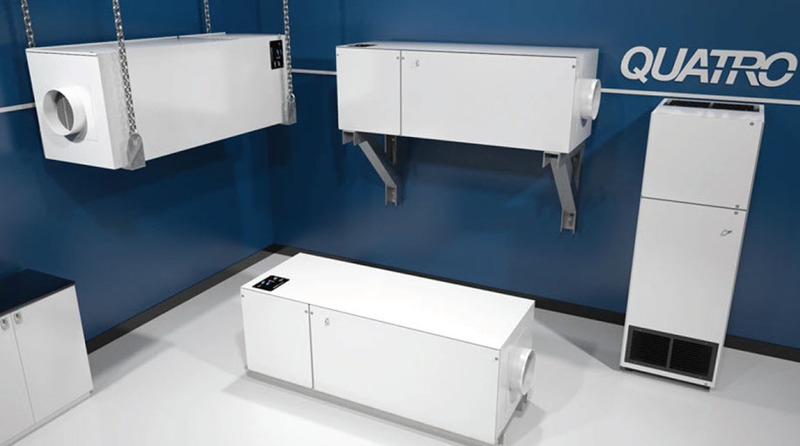 We have the BHH series air purifiers – good for spaces up to 400 square feet x up to 10 foot high ceiling (providing a fair amount of ACH or air changes of air per hour). 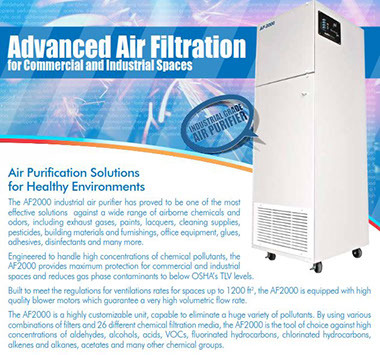 Needing one for larger spaces, we have the BP2000H series, available in various filter configurations, from fine dust airborne particle removal capabilities to heavy chemical odor capabilities. 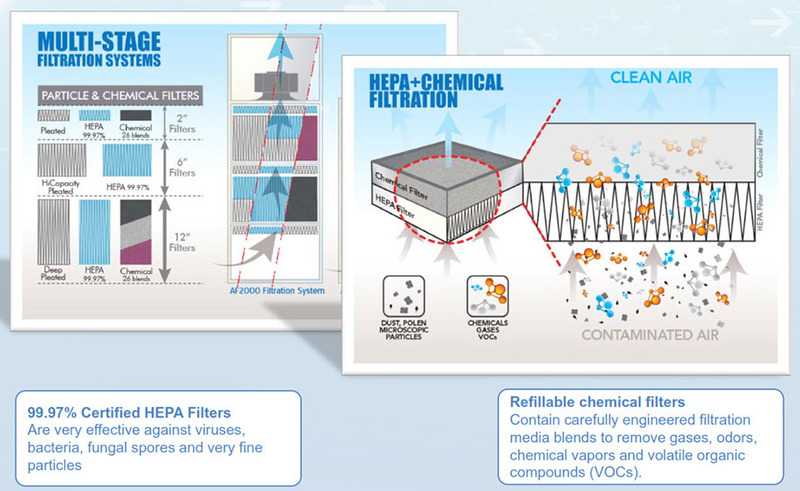 These air purifiers can be used a a recirculating unit, or in negative or positive pressureenvironments. 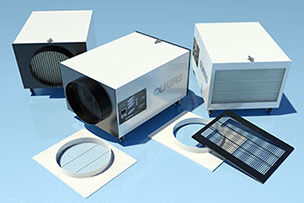 Call us for help with your product selection, toll free, 1-800-626-0664 or fill out and send us the contact form on this page.